Businesses lose thousands, if not millions of dollars when production stops. In the last two years the rate of cyber crime has exceeded, and in 2015 alone, there were about 781 publicized security breaches that resulted in the exposure of over 169 million personal records. Sadly, this number is increasing one year after another. Such kind of attacks take place when there is a loophole in the techniques and measures adopted for cyber security. Big names like Target, Harvard, and BlueCross have also been a victim of cyber attacks which is proof that none of the big businesses are safe from this threat of getting attacked through cyber. Over the last 2-3 years, the rate of cyber attack and cyber criminals are getting faster and better at figuring out the wormholes, and sadly this has made it difficult for the businesses to keep up. The conventional protective software has trouble keeping sensitive data secure. So what to do? 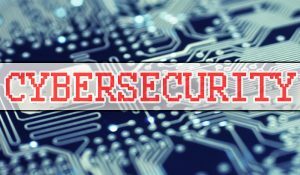 IT executives have come up with some innovative strategies that involve automation as a defense tool against such kind of cyber attack and breach of cyber security. Nowadays, the threats have increased, and the IT people are up against constant and persistent attacks and these threats are led by automated bots. These are intensive attacks and humans cannot keep pace with some such threats, and it becomes difficult to take decisions that trigger the immediate effect. This is the leading cause of automation being incorporated in cyber security. Automation is not powerful but efficient as well. Lack of Trust: A highly skilled employee would feel capable of giving a response to cyber attack compared to a machine. Not being able to trust technology tends to be a significant obstacle that is difficult to handle with an increase in frequency and complexity. Change: Another misconception is automation shall replace human workforce. Automation does play a major role in changing how people worked before, but it is creating opportunities for them as well. Enhanced Efficiency: With the help of automation, the workflows become more uniformed and streamlined. And the organization becomes stronger regarding cyber security. Fewer Errors: Majority of the renowned cyber breaches were caused by highly overworked individuals with no harmful intention. Even the experts of IT can make mistakes, but these could be massively damaging with automation, this problem can be eliminated by eradicating some or all of the human involvement. Better Decisions: Automation allows industries to gather, analyze and prioritize sensitive information that boosts the threat detection and cyber attack management process. Cyber Security should be the top-most priority of every business/industry leader as the average cost of a cyber attack ranges from $38,000 to staggering $400 billion! The strategies need to be revised and audited properly to check their efficiency if the business is to keep from becoming the next target. Automation is rising as an excellent tool for strengthening, boosting and streamlining the response processes to a better defense can be created.